This brightly colored cornucopia project is an example of a bountiful harvest. I’ve included a sheet of fruit shapes in this project, but another choice would be for the kids to draw their own fruits. The fruits could also be cut from colored magazine pages. 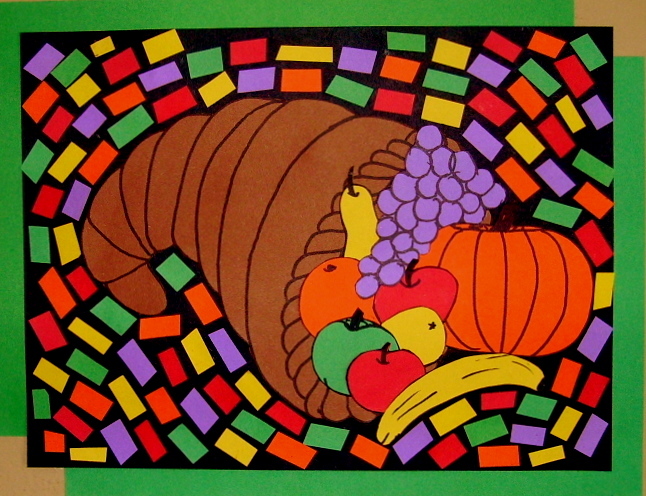 The strips around the cornucopia could be all the same color or any variety of combinations. I can see lots of possibilities for making the project unique——some glitter?? 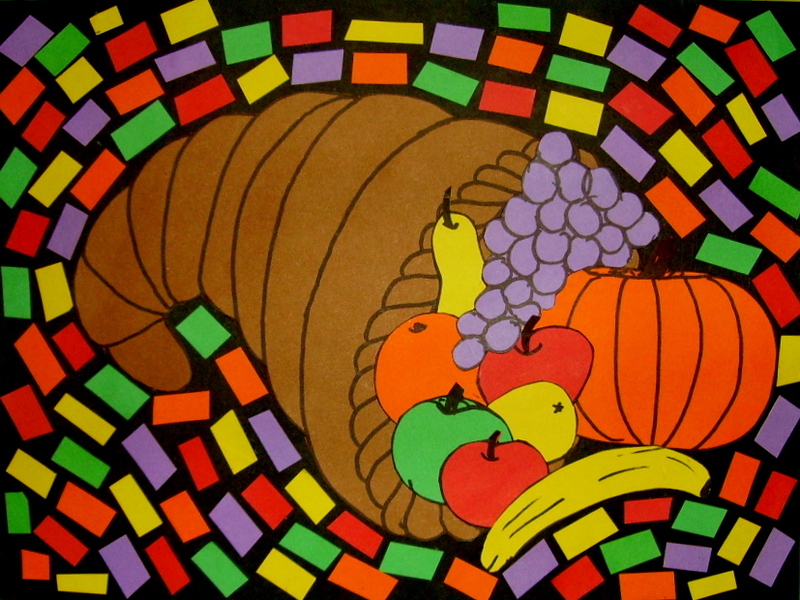 Cut out the cornucopia and glue to a background paper. Using the fruit shapes pattern or draw your own pattern and cut fruits from colored paper. Glue to and spilling out of the cornucopia. Cut small strips of colored paper and glue around the picture. Optional: Highlight the fruits, and cornucopia with colored or gold glitter glue.